THE OLD FIRM CASUALS have already brought joy to fans of punk rock and soccer with their 7″ NEVER SAY DIE (SAN JOSE EARTHQUAKES ANTHEM), and this holiday season, they are doing their part to spread that joy to children in need by raising funds for TOYS FOR TOTS. 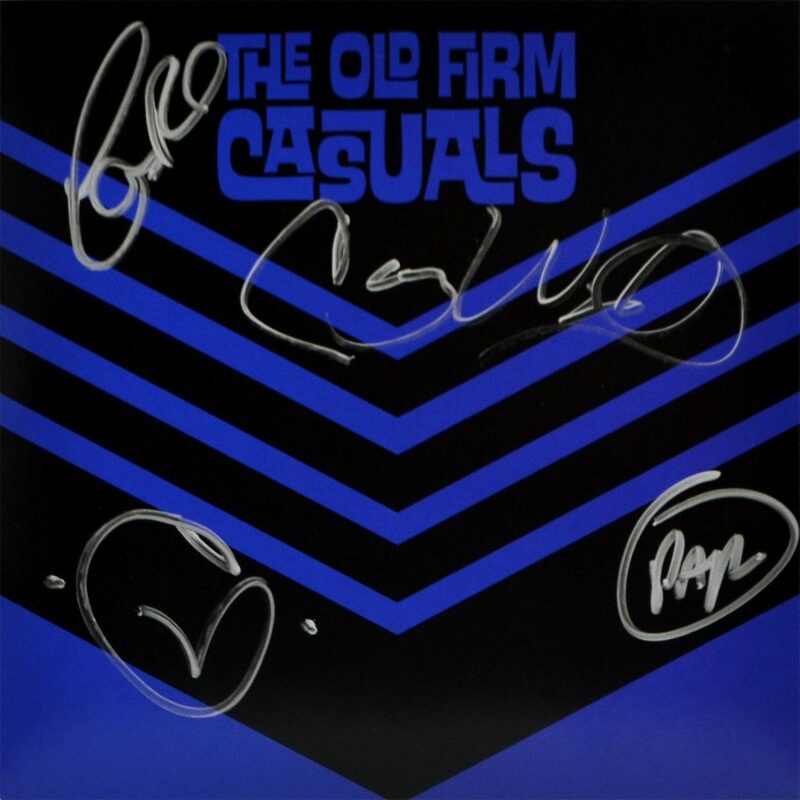 This blue vinyl 7″ features the CASUALS’ song written for their club, THE SAN JOSE EARTHQUAKES, as well as a second version featuring the players themselves joining in! The entire band have autographed a limited quantity of these records, and proceeds from the sales of the autographed copies will be donated to benefit TOYS FOR TOTS! One of America’s longest running and most trusted charities, the mission of TOYS FOR TOTS brings the holiday spirit to those in need by providing brand new toys to less fortunate children. So not only do you get a great, collectible autographed record, you can rest assured that you have also helped a child in need to have a brighter holiday. For more info on TOYS FOR TOTS, visit TOYSFORTOTS.ORG! GET YOUR AUTOGRAPHED COPY OF NEVER SAY DIE ON 7″ BLUE VINYL HERE!